Eternal Sentinel is a 2 Mana Cost Epic Shaman Minion card from the Whispers of the Old Gods set! Battlecry: Unlock your Overloaded Mana Crystals. Just try to avoid eye contact. Overload is not longer a serious problem, thanks to this and lava shock. I like this card a lot, control shaman can be decent. I’m so excited for this card! Extremely good card to help keep the board your own after using Elemental Destruction. 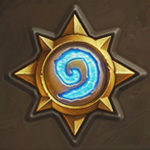 So perhaps we can expect every few expansions to have some Shaman cards that either synergize with Overload or Unlock your Overloaded crystals? I can live with that. 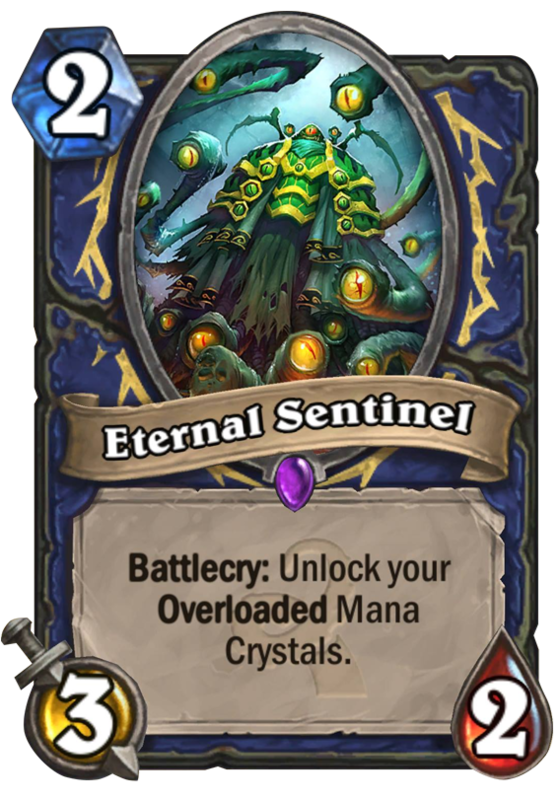 Expect this guy in revived Midrange Shaman decks. Play wolves on Turn 3, then play this guy Turn 4 and either Totem or another 2 drop.